State of the Art Hydration for Dogs: Taking care of our dogs with ease and precision is essential in today’s world. 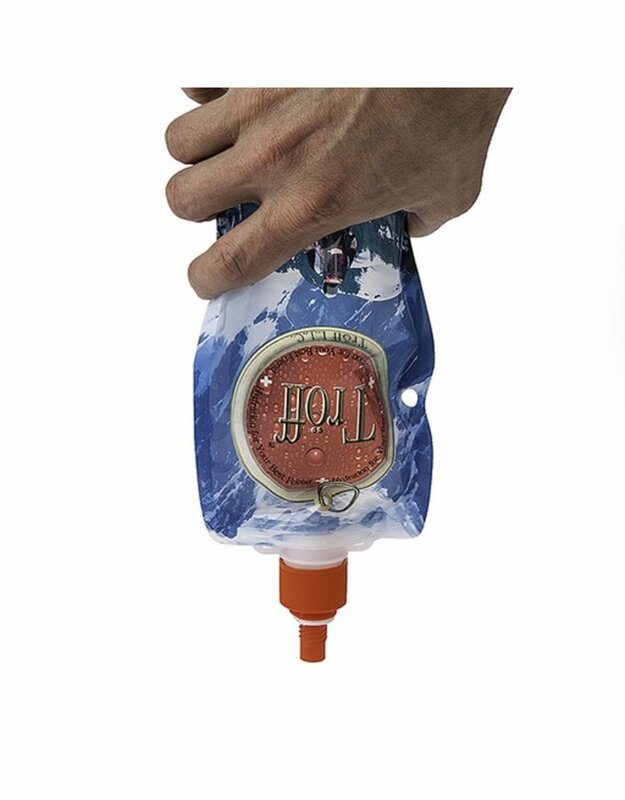 The twist off top, non-spill valve, and fold to go anywhere approach creates a ‘no excuse’ policy for maintaining proper hydration and preventing dehydration. 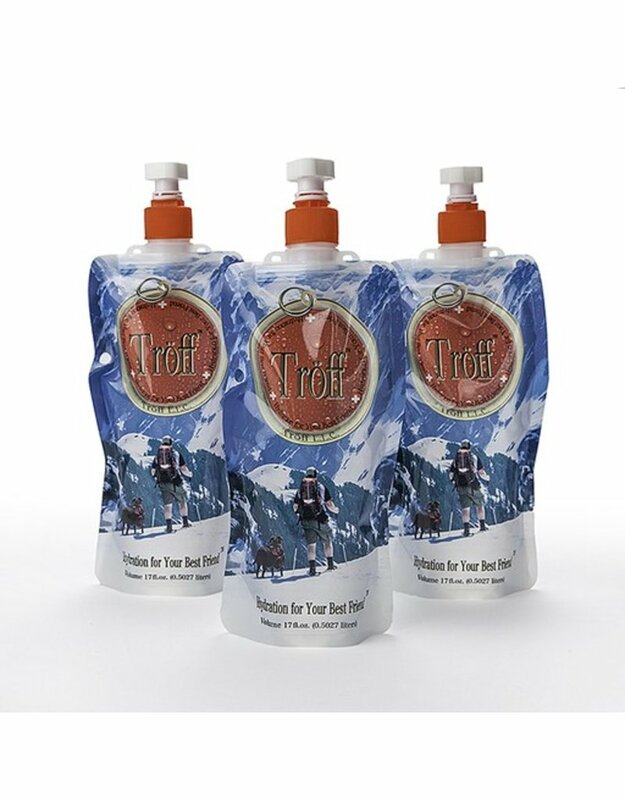 Designed for Convenience: The Tröff™ non-spill pouch was designed with the dogs in mind. 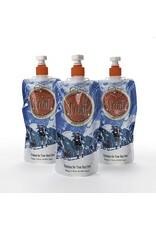 Each pouch holds 17 ounces of water. 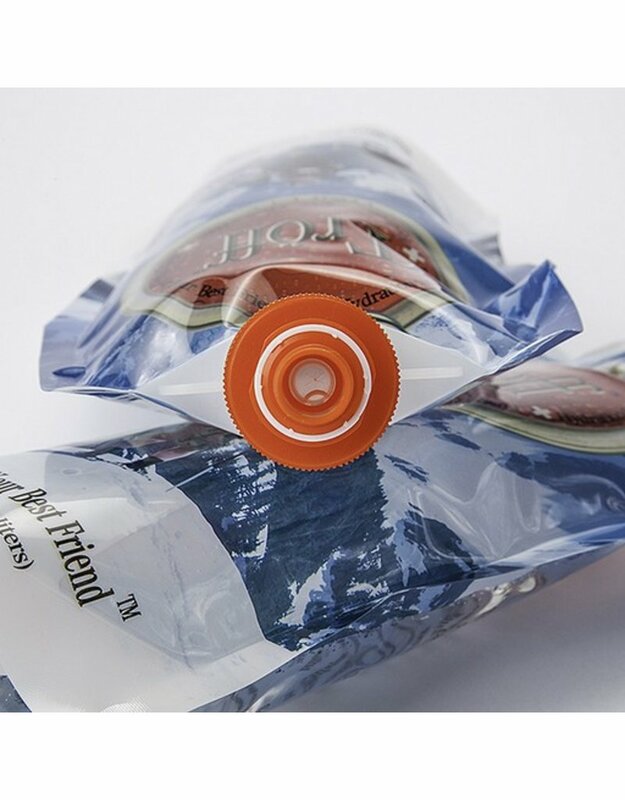 When empty, roll-up, reuse, and store anywhere. Eco-Friendly: Around the earth we are making great efforts to clean up our planet. The Tröff™ pouch reduces landfill waste by over 90% compared to water bottles of the same volume. It is reusable until damaged. The Heat is a Cooker… Really: The temperatures around our country are searing and the summers are torrid! Hydration and thermoregulation is difficult, to say the least! The heat can increase a dog’s water needs by two to three times. Put the Tröff™pouch in the freezer, then let it thaw. Watch your dog savor life’s elixir! 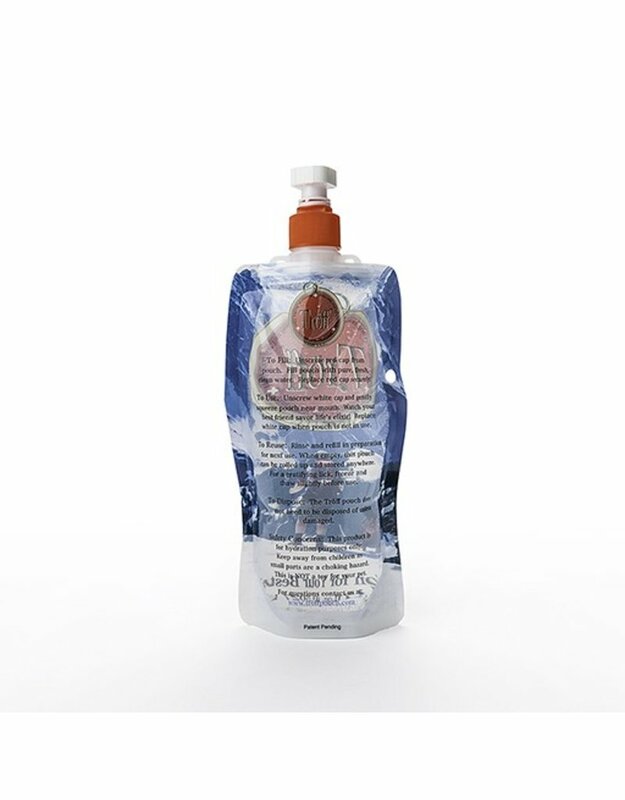 Dehydration Disaster: When a bad situation hits and electrolytes are essential for your dog, the Tröff™ pouch is here to help you regain proper hydration levels. The pouch holds 17 ounces of water. Knowing this, you can regulate the electrolyte intake easily, and deliver the required amount your veterinarian suggests. Pets are Welcome: Many hotels and restaurants around the country are adopting new pet policies that welcome dogs. Because Tröff™ is a non-spill pouch, your dog’s water mess is minimal. Less mess creates a more enjoyable and relaxing experience for everyone! *Traveling with your dog can be stressful on them. Whether it’s good stress or bad stress there will be an increase in fluid loss from panting, drooling, and just from being excited. Having the pouches aboard will help maintain your dog’s water balance. *Whatever the adventure, many times a dog will reduce his water consumption because the taste is different from what he is used to. The Troff pouch, filled with your dog’s own pure, clean water, eliminates this stress.